Loved the location. 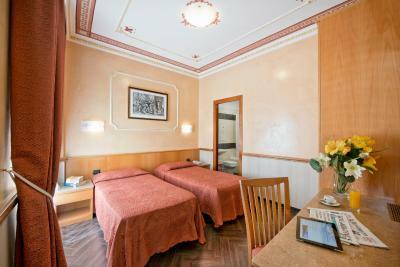 I wanted a nice place by the Central train station and this wasit. It made getting around Rome very easy. The room was comfortable and quiet. We had no view just a courtyard. That was fine since we were only in the room to sleep. Staff was excellent and friendly. The hotel suited our needs perfectly. Breakfast was included and very nice. Lots of nice restaurants and cafes near by, actually right downstairs. Exceptional customer service. Local knowledge and dining recommendations. The place was very accessible to everything restaurant, public transport, supermarket and tourist spot area just a few mins walk away. 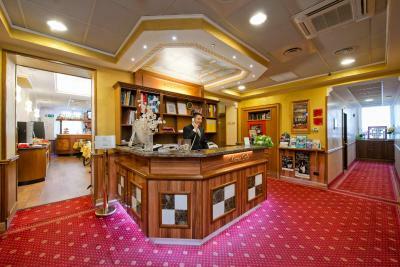 The staff are very well accommodating, Friendly, helpful and generous. Normally check in was supposed to be 2pm, but we arrived early at the hotel. We got the room few hours earlier than the normal check in time. 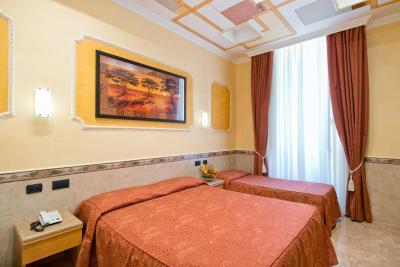 They are always try to help and provide information that will help and may your stay in Rome easier and comfortable. 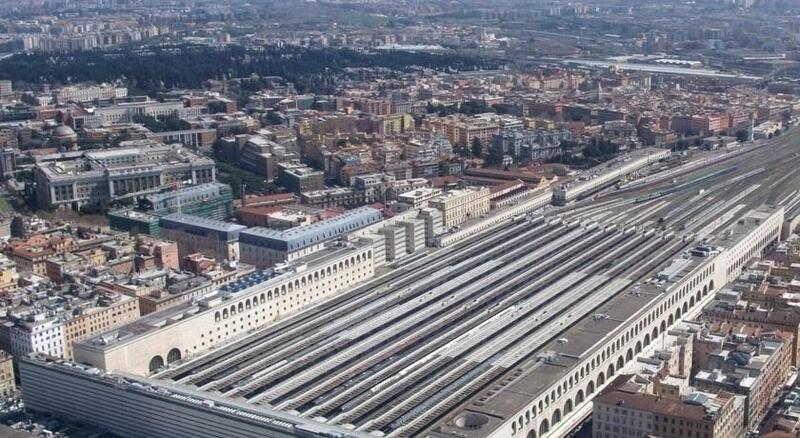 Easy walk from Roma Termini and good places to eat nearby. The staff are great and the location is central. Considering the room rates are reasonable I would recommend this hotel to anyone who is budget conscious. Simple but cosy hotel. 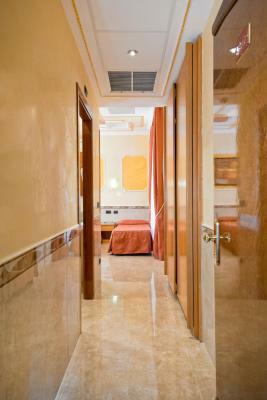 Clean rooms and staff was friendly. Thanks! 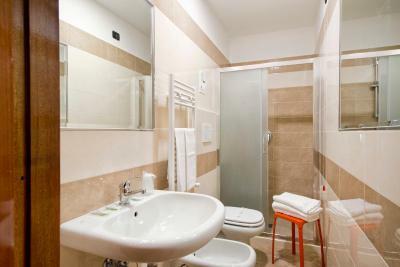 Hotel Marco Polo Rome This rating is a reflection of how the property compares to the industry standard when it comes to price, facilities and services available. It's based on a self-evaluation by the property. Use this rating to help choose your stay! 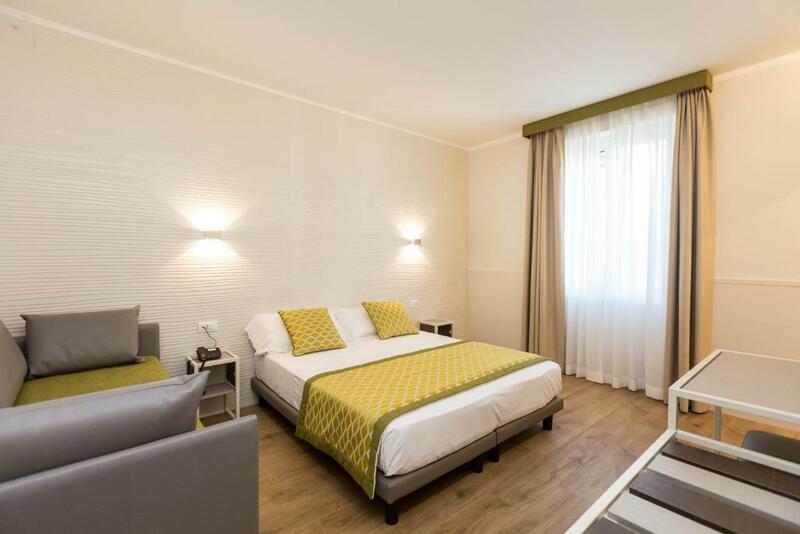 Marco Polo is a clean and comfortable hotel 500 feet from Rome Termini Train Station, with airport shuttles and public transportation. 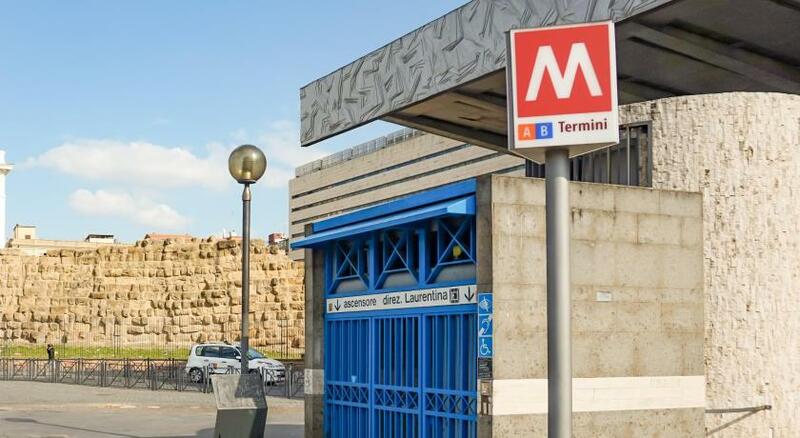 The Colosseum is just 2 metro stops away. 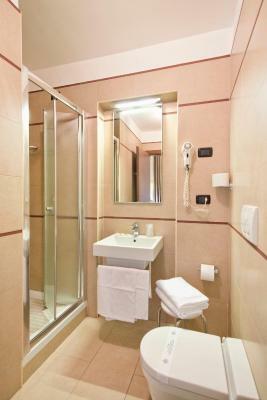 The helpful staff of the Marco Polo Rome speak English and are always available for assistance. Breakfast is buffet style at the Rome Marco Polo. 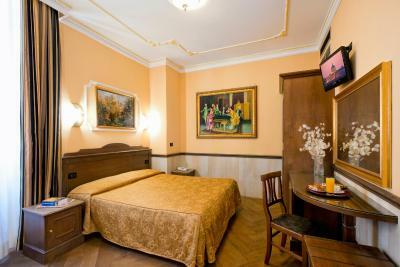 When would you like to stay at Hotel Marco Polo Rome? 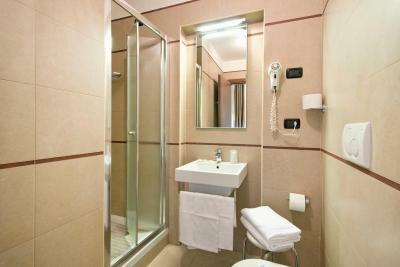 This room with a private bathroom is air-conditioned and includes soundproofing, satellite LCD TV and a minibar. Some rooms overlook the internal courtyard. Further bed configurations are available upon request. 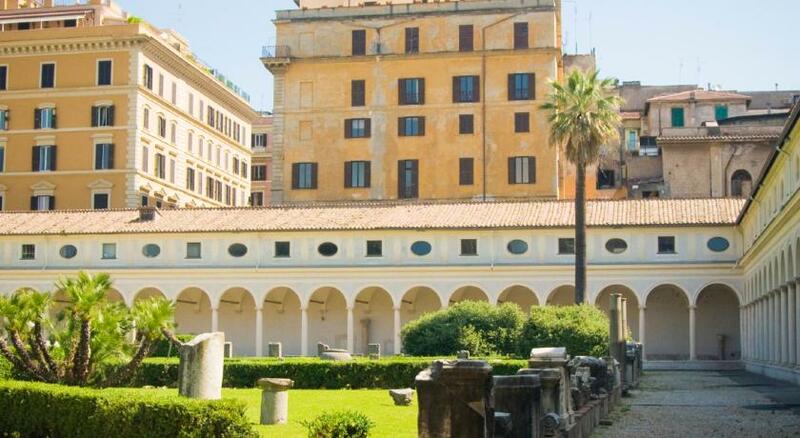 House Rules Hotel Marco Polo Rome takes special requests – add in the next step! Hotel Marco Polo Rome accepts these cards and reserves the right to temporarily hold an amount prior to arrival. The airport shuttle operates at scheduled times and is subject to availability. You can contact the hotel for more details, using the information on your booking confirmation. Please note that for bookings of more than 4 rooms, different policies and additional supplements may apply. 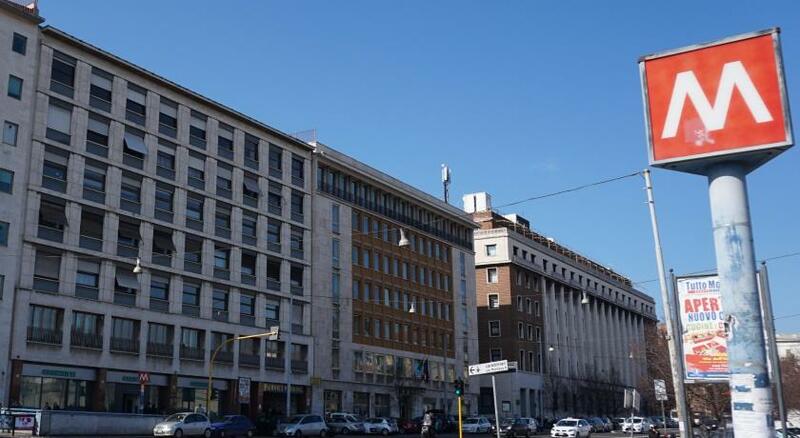 Please inform Hotel Marco Polo Rome of your expected arrival time in advance. You can use the Special Requests box when booking, or contact the property directly using the contact details in your confirmation. 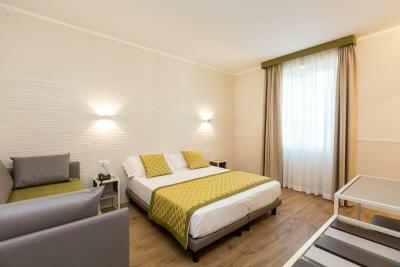 If you pick the "best deal" forget the room photos on the site. You'll be allocated the room which is different from the photos. Bed linen was never changed during my 4 nights stay. I asked receptionist if they change the linen every day guy said "yes" but it never happened. Breakfast is same every day, no vegetables, coffee is bad. Comparing to the other hotel I've ever stayed this hotel is not 3 star hotel. Location is good. Wifi connection is good. It's a little noisy, but that was fine for me as its value and location were amazing. The building was a bit old since it was just a 3 star hotel. Location ,Beds and Value for money. The view. Beds could have been more comfortable. The elevator is a nuisance but it didn't detract from the stay. Elevator very slow to respond and stairs it’s no rails! It is all old and many things are broken for a long time. The room was clean but the rest outside the Hotel but inside the same building is very dirty. The entrance to the hotel is a bit shabby and one needs to go to the third floor to get to the reception. The first night the AC wasn't working well but was fixed by the second night. Great staff, who were very helpful in all our requests. The new rooms on the 6 th floor are very nice and comfortable. 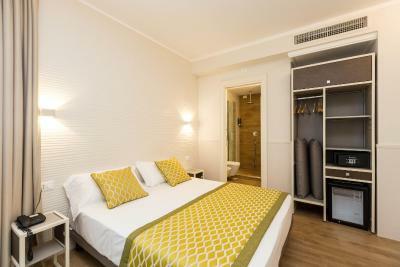 I booked a family room for 4 adults, with 2 double beds and 2 single beds or double bed, but when I checked in, they gave me a small room with one double bed and a bunk bed for children. They stated they have no other room for me.